Dudley Council are constantly looking at how they can use our e-Recruitment system, TalentLink, to support their different recruitment activities. Recently they have used the system to support them in delivering, hosting and administering their own in-house staffing agency, which provides casual worker support across the authority. Chris Boote, WMJobs Senior Business Partner, gives an overview of the issues Dudley were facing: “Before the move to our e-Recruitment system, TalentLink, Dudley Council had a bank of casual workers across different areas ranging from admin and drivers to gardeners and cleaning. “The process to support the management of the causal workers and placing them into roles was previously done all offline and was administration heavy. The WMJobs team sprang into action and held a scoping session with Dudley to understand their objectives for their in-house agency and to review how we and the TalentLink system could help them meet their objectives. The candidate pool – moving to an open pool approach to allow Dudley to manage the candidates easier, have them all in one place, have their own selection process that works for how they bring their candidates into the pool and get them ready for placement. The placement process – The bespoke process that will sit under their In-house agency structure in the system and allow them to manage placements from their creation to their completion. The project ran smoothly and has recently been completed, so Dudley are currently underway with launching the new process to their managers. Becky Sidway, HR Services Manager – resourcing said: “As Dudley embarks on a journey of transformation we are continually looking at enhancements to our services and processes. “Working in partnership with colleagues from WME, I am very excited and pleased to say that this will help to shape the future of Temp Solutions through a digital platform and is a very positive approach to streamlining and effectively managing our temporary casual bank bringing together improvements to both our managers and workers. 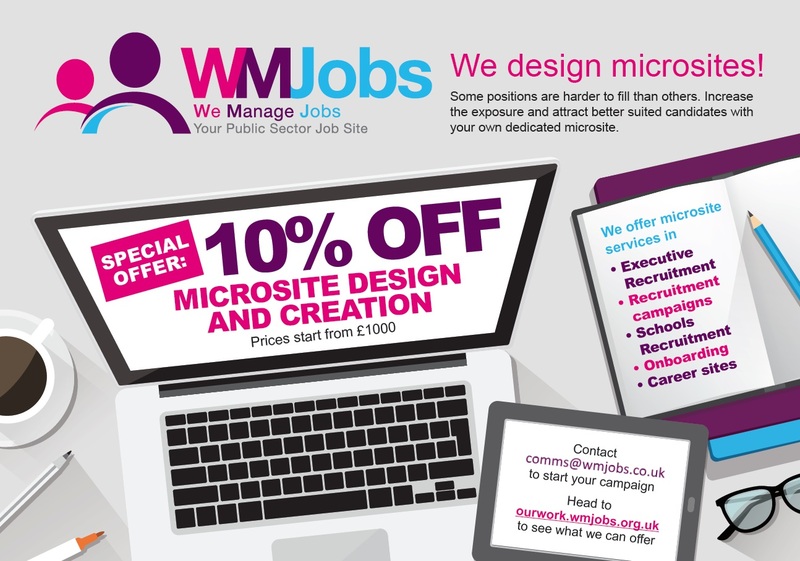 To speak to one of the resourcing specialists in the WMJobs team call 0121 569 2070.